Windham County NAACP vice-president Jesse Roaza holds up his membership card. To join the NAACP, email info@windhamnaacp.org, or send a message through the group’s Facebook page. Meetings generally take place at 6 p.m. on the third Thursday of the month at The Root Social Justice Center, 28 Williams St., Brattleboro. The location may change to accommodate members who live elsewhere in the county, so check the group’s website or Facebook page to confirm. BRATTLEBORO—“It’s shocking that in the 109-year history of the NAACP, it’s never touched southeastern Vermont,” said Steffen Gillom, president and co-founder of the Windham County National Association for the Advancement of Colored People. In February, that changed. The organization received its charter after meeting the NAACP’s requirements, which included creating an organizing committee to recruit 100 members for what would become the local chapter. Founded in 1909 by people — white and African-American alike — in response to anti-black violence, the NAACP has grown to more than half a million members and 2,200 chapters. Its members over the years have included civil rights leaders such as Rosa Parks, Martin Luther King Jr., Medgar Evers, and W.E.B. Du Bois. For the first 224 years of Vermont’s existence as a state, it had no NAACP presence, and the Windham County NAACP is only the third chapter to develop in Vermont. The other two are in Rutland and the Lake Champlain area. The Champlain chapter, formed in 2015, was the first. Gillom said he was inspired to develop a local chapter after attending a conference organized by the Vermont Partnership for Fairness and Diversity. He had a conversation about the idea with Tabitha Pohl-Moore, a Wallingford counselor and therapist who, at the time, was organizing the Rutland branch. “In the beginning, I printed applications and got 15 people to sign up,” Gillom said. “Then I thought, ‘Maybe we can get more.’"
At that time, Gillom was a student at the School for International Training, where he now works. His roommate was Jesse Roaza. “I started bugging Jesse, and he just kind of jumped on board,” Gillom said. Once Gillom and Roaza received the requisite 100 members, they submitted the applications to the NAACP’s New England Area Conference, which sent the documents along to the national headquarters. After they received their charter, and their 501(c)4 certification — an IRS designation for tax-exempt social welfare organizations — the chapter held elections for the executive committee. Gillom was elected president. A chapter typically has three vice-presidents. Roaza is the first, Rose Albert is the second, and they are seeking a third. Sarah Wiggins-Donovan is the secretary, Elizabeth Zinn-Williams is the assistant secretary, and the treasurer is Clifford Ohrnberger. “I think we’re the youngest branch in New England,” said Roaza, who noted most members, including the executive committee, are in their 20s or early 30s. Since forming four months ago, the chapter has been quite busy, Gillom said. The chapter is up to 109 members, and more applications are in process. The group has hosted roundtable discussions and monthly meetings and is working on a film screening. 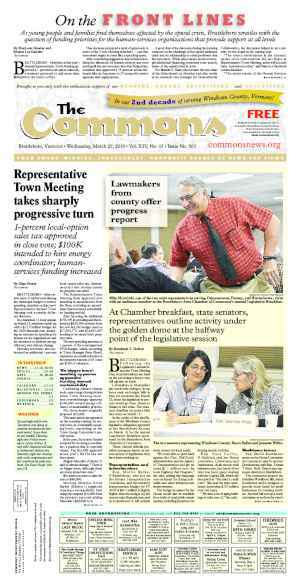 Two specific projects the chapter’s members are working on, Roaza said, are a county-wide voter registration drive and more partnership building. Gillom and other executive committee members have appeared at press conferences and other meetings locally and around the state to represent the organization and ensure racial justice is part of the conversation. “We’re keeping our ear to the ground,” he said. Two such organizations are the Brattleboro Development Credit Corporation’s Young Professionals group, where Gillom is a member of the steering committee, and the ACLU’s local People Power branch. The Windham County NAACP chapter also works closely with the Rutland chapter. 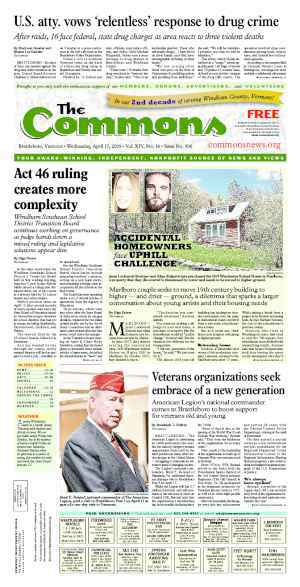 “We’re working with county and local law-enforcement to endorse the statewide Fair & Impartial Policing Policy” created by the Vermont Criminal Justice Training Council, Roaza said. This policy addresses implicit bias and sets guidelines for the police’s behavior when interacting with people of color, he explained. It also covers how law enforcement interacts with immigration issues, including ICE and the immigrant communities, and this has gotten the attention of the ACLU, Roaza said. The Windham County NAACP and the New England Area Conference voiced opposition to Governor Phil Scott’s plan to build another prison in Vermont, Gillom noted. “I can say with full confidence we’ve helped to influence state policy by critiquing language on bills and add language when asked” on legislation related to social and racial justice, he said. Gillom explained that their work with other organizations is not about “signing a contract” to be an official partner, but “more like building sustainable relationships that will breed actual systemic changes in Vermont. It’s more than just talking,” he said. “We’re new. We don’t want to re-create the wheel. There’s a lot of nonprofits here, and there’s limited resources,” Roaza said. “Instead of taking away from the work they’re doing, we can bolster their work and work together,” he added. “Our strategy is to align ourselves with groups doing great work that’s in line with the NAACP’s mission,” said Gillom. Roaza noted Vermont has a long history of civil rights, but there’s a contemporary need. “Six years ago, when I came here to attend SIT, I remember thinking, ‘There are so many white people here!’” he said. In the past four or five years, Roaza has noticed a demographic shift. 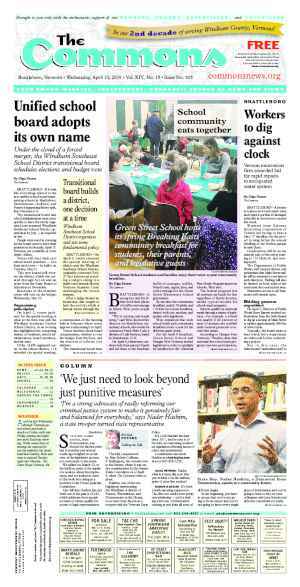 “There’s a larger presence of people of color, and more people willing to talk about [racial] bias in Windham County,” he said. Gillom and Roaza agree the 2016 presidential elections inspired more people to speak out and to commit more of their time to working for social justice causes. But, they pointed out, it also hardened some of the resistance to this work. Gillom agreed and said some people think “we’re an oasis from [racism], but people of color don’t really experience” that oasis. “People of color are feeling pressure, regardless of what the majority might think,” Gillom said. Gillom and Roaza invite all interested parties to join the Windham County NAACP, and the requirements are simple: Anyone is invited who wishes to join, regardless of race, age, or gender. 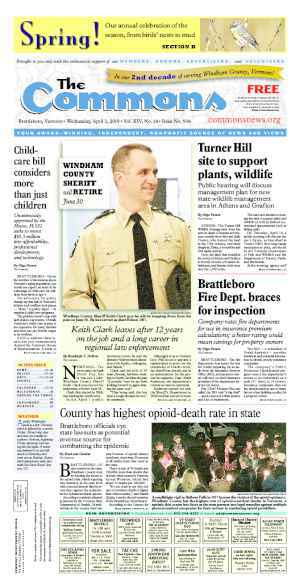 Members don’t even have to live or work in Windham County. “You can live elsewhere,” said Gillom, who explained, “membership is about which area you feel a strong connection to." Most of this chapter’s members live in Windham County, said Gillom, but some hail from the Midwest, the South, and New York. “It’s a great opportunity for people who move away to stay connected to the social-justice world in Vermont,” he added. “I’ve been impressed by the power of the NAACP,” said Gillom, and that includes at the local, regional, and national levels. For the Windham County branch, “we’ve been able to do a lot of work in a short amount of time. We’re growing strong,” he said. “We’re working on a grassroots level to say, ‘We, the NAACP, are here, and we’re paying attention,’” Gillom said.